Our 4 city rooms offer a sense of Georgian glamour from the pubs Regency heyday. The Cardinal’s Hat is Worcester’s oldest pub and originally dates back to the fourteenth century. Our 4 city rooms offer a sense of Georgian glamour from the pubs Regency heyday. 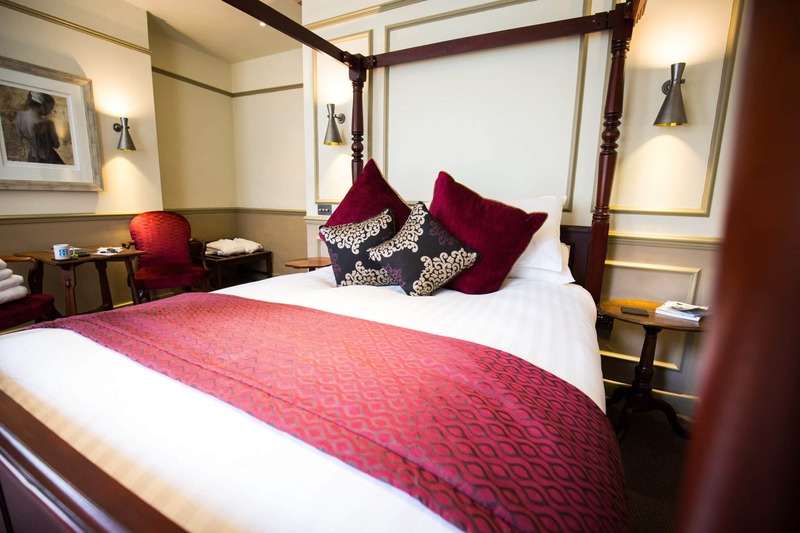 Spacious rooms with high ceilings boast comfy king-size beds and luxury bathrooms, and of course the characteristic cosy pub that can be found downstairs. All rooms boast antique Georgian furniture, TV and wifi, and tea and coffee making facilities with Royal Worcester crockery. A continental breakfast to go is provided at your door daily , or alternatively if you have a little time to spare a cooked breakfast can be enjoyed across the street at Worcesters best Cafe, Mac and Jacks.